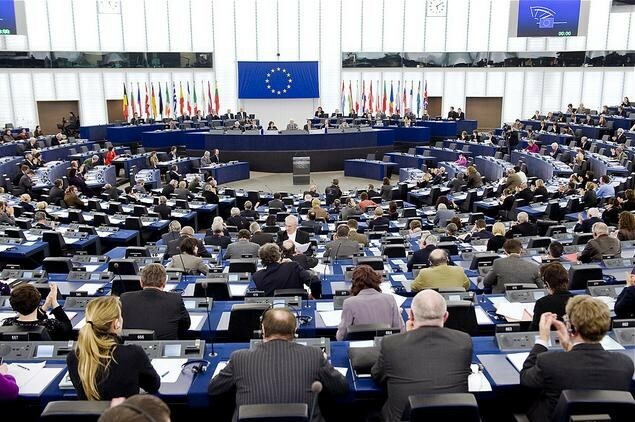 The European Parliament today opposed plans to launch immediate “trilogue” negotiations with the Council and European Commission on copyright reform legislation, instead sending the controversial measure to full debate at the next plenary session of Parliament. The tenor of the fierce debate that has surrounded the draft copyright directive was evident in impassioned speeches before the 318-278 vote. German MEP Axel Voss, of the European People’s Party, who wrote the legislative report for the lead Legal Affairs (JURI) Committee, said his approach would end the exploitation of European creators by US companies such as Google and Facebook, and slammed those he accused of wanting to support “America First” policies in a campaign “based on lies.” UK MEP Catherine Stihler, of the Progressive Alliance of Socialists and Democrats, said that while the Internal Market and Consumer Protection Committee agreed on the need to protect European artists, the JURI text doesn’t achieve the necessary balance` and there are “huge concerns” about Article 13. The draft copyright directive is available here. Article 13 “aims to make platforms accountable, but not all platforms,” a JURI explanatory document published before the vote said. Online content sharing service providers are only those companies one of whose main purposes is to store and give access to the public to copyright-protected works, which their services optimise, it said. Services that act only in a non-commercial capacity, such as private cloud services and encyclopaedias, wouldn’t be subject to the directive, it said. In addition, there would be no general content filtering requirements but platforms would have to come up with ways to cooperate with rightholders, it said. “Finally, Article 13 will not lead to censorship of the entire internet,” it said. Article 11, which offers press publishers an ancillary right (also called neighbouring right or “snippet tax”), would allow publishers to seek fair and proportionate remuneration for the digital use of their content by information society service providers, the JURI note said. It stressed that the measure wouldn’t include hyperlinks or affect individual users. Opponents, however, said the two measures will “break the internet.” As noted in an earlier press release by German MEP Julia Reda, of the Greens/European Free Alliance, requiring licences for distributing news would shutter the sharing of professional news content and threaten smaller publishers who rely on articles being shared. Automatic filters, moreover, would end up blocking legitimate creations and harm European content sharing platforms that couldn’t afford to comply, she said. The vote to open full debate on the JURI position provoked a flurry of comments from stakeholders on both sides of the issues. “The voice of those who make European culture(s) must be heard louder than those of the platforms which want a net impunity,” said Federation of European Publishers President Rudy Vanschoonbeek. MEPs gave in to “the aggressive pressure put on them by digital platforms and the opponents to copyright instead of listening to European authors,” said Society of Audiovisual Authors Executive Director Cécile Despringre. The vote was a “great disappointment for millions of creators who have campaigned for years for the right to fair treatment and fair payment from giant internet platforms,” said International Confederation of Societies of Authors and Composers President Michel Jarre. The European Parliament “has taken note of the criticism raised by a large number of individuals, civil society groups, creators, academics and the World Wide Web’s inventor against the Censorship Machine,” said European Digital Rights. Parliament “decided against rubber-stamping” the controversial directive, said Reda. “Rapporteur Mr Voss’ attempt to dismiss well-founded criticism as ‘fake news’ has failed,” she said. The fight, however, is far from over, she warned. Parliament was right to delay the directive, because the “proposals would have prevented people from sharing online content and there would have been unavoidable conflicts with fundamental rights,” said techUK Deputy CEO Antony Walker. "European Parliament Rejects Starting Negotiations On Copyright Reform Proposal" by Intellectual Property Watch is licensed under a Creative Commons Attribution-NonCommercial-ShareAlike 4.0 International License.